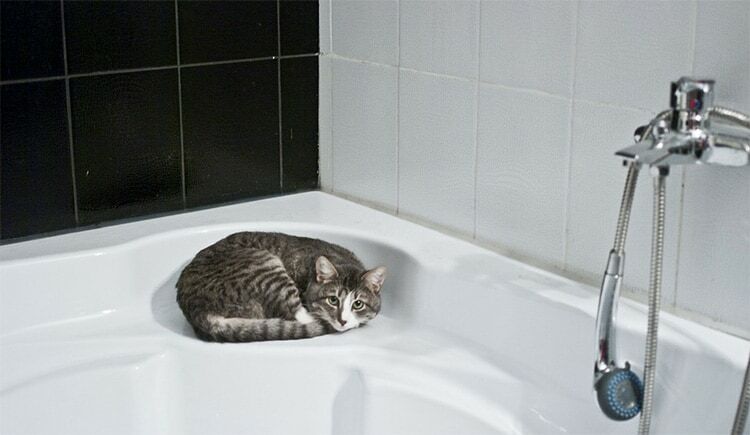 If you don’t manage it correctly, cat hair can become a huge problem in your home. Make no mistake about it – ignoring cat hair will cause you issues. Your allergies may act up. Your cat could get sick. Or your home may just look hideous and dirty from all the hair. Things will only get worse if you don’t take action. You need to learn how to clean and control cat hair. If not, you’ll find your furball’s fluff all over your clothes, furniture, and floor. 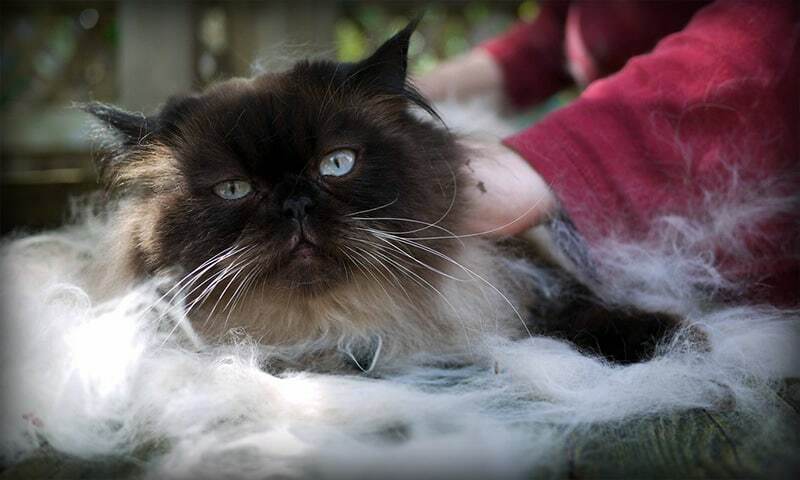 First, you need to understand one thing – it’s near impossible to stop your cat from shedding their fur. That’s just not how nature works. The best you can do is control the shedding and keep things clean. See, cat hair has a tendency to get tangled up. It matts up, falls off, and ends up on every surface imaginable. Not only does the hair cause problems, but it attracts dirt and debris, too. This makes things worse. Now, this just means you need to stay ahead of the hair. You can still play and pet your cat. Your furry friend should still be allowed to sit on the couch and bed. You just need to focus on grooming and cleaning. Handling Cat Hair Like a Pro! First and foremost – you should be giving your cat a bath 1-2 times a month. This will ensure that the furball has a clean coat. Plus, a number of loose hairs will fall off into the water. Make sure you’re feeding your cat a high-quality food. Preferably you’ll offer your furry friend dry and wet food. This will ensure your cat gets the proper vitamins and supplements – which will help your cat keep a healthy coat. 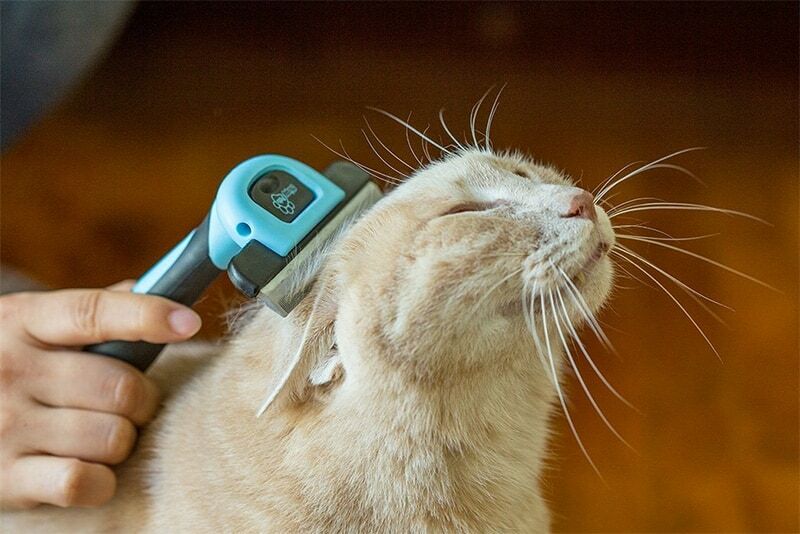 Part of keeping your cat’s hair under control is simply cleaning it up efficiently. One easy way to ensure you do just that is Fuller’s Electrostatic Sweeper Brush. This device won’t completely replace a solid vacuum, but it’s incredibly handy for quickly cleaning up some remaining cat hair from the floor. Plus, the device has a trash compactor attached that allows it to collect all hairs and debris. Why is the Fuller’s Electrostatic so good at cleaning cat hair? Because the “electrostatic” part of the device was created to pick up hair. You’ll pick up way more hair with this brush than nearly any other. There are many decent hoovers around for any budget and for any cat breed (long-haired, short-haired etc. ) . 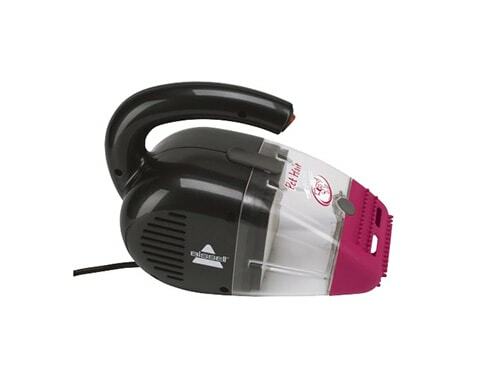 If you are looking for something cheap and useful, you can try out Bissell Pet Hair Eraser Handheld Vacuum. For our full Vacuum cleaners guide you can click here. A different kind of brush, the Chirpy Pets’ Cat Brush was specifically designed with your cat’s shedding in mind. This device is an absolute must for cat owners looking to clean and control their furball’s hair. Equipped with a unique ultra-thin comb, the Chirpy Pets’ Brush can remove all your cat’s excess hair before it ever falls to the floor. Removing loose fur in a matter of minutes, you’ll save hours on cleaning and removing hair from the floor or furniture with this bad boy. Cats usually love the feel of this brush. You can even use it to move your cat’s fur around and check the kitty’s skin while looking for fleas and ticks. You won’t get tired of using this brush. Compact, mobile, and quite affordable – you need to get a Chirpy Pets’ Cat Brush if cleaning cat hair is of concern. Ultimately, the key to cleaning and controlling cat hair is being proactive. Having the right type of broom, vacuum, and cat brush can make all the difference. You just have to make sure you use them! It’s not too hard to clean and control cat hair. Just make a cleaning schedule and stick to it. The hair won’t pile up or gather too many debris –which will make your life much easier. Plus, your cat will love the cleanliness, too! The Best Cat Shampoo for Fleas, Dandruff, Allergies, and More!